Students at Truckee Elementary School are seen here participating in the Hour of Code event last week. TAHOE-TRUCKEE, Calif. — This past week, Tahoe Truckee Unified School District introduced young scholars to the world of computer programming as part of National Computer Education Week. The district participated in the Hour of Code event, a national initiative held annually designed to spark an interest in a new side of technology. The idea beyond Hour of Code is for students to get an hour-long introduction to computer programming to see that everyone can learn the basics. 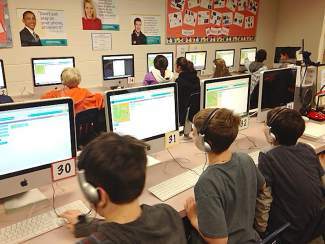 Various elementary schools around the district got involved in Hour of Code activities. Activities for TTUSD students varied by grade level and from site to site. Some students learned to draw with code while others spent an hour learning how to make their own webpages using the basics of HTML. Some students learned basic programing language and used math concepts to move a “robot” forward, spin and jump. 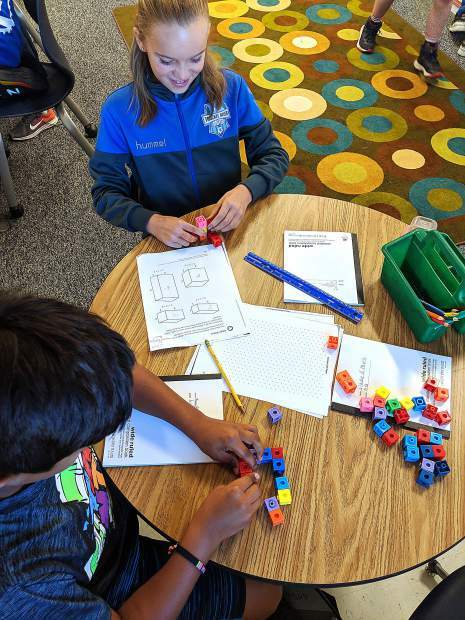 While TTUSD students are already engaged and using technology every day to learn 21st century skills such as research, there can be a disconnect between using technology and knowing how technology works. It is the hope that by teaching students to learn about writing code it opens up a new world to them at a young age and demonstrates how computer science can drive innovation.